Rahul failed to impress in the three limited-overs matches against England Lions as well. 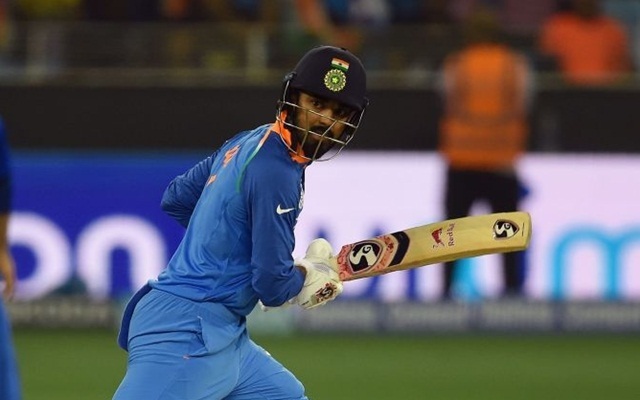 KL Rahul’s dream of playing in his first World Cup might have landed in trouble for India’s chief selector MSK Prasad feels the man needs to score runs to get back into the squad. The Karnataka batsman eventually hit some form in the first unofficial Test for India A against England Lions in Wayanad last week but it might have come a bit too late. India though have a couple of limited-over series to play against Australia at home starting later this month and it will be interesting to see how things play out for Rahul. Rahul has been struggling with the bat for quite some time now. He had a terrific Indian Premier League (IPL) season in 2018 but on the international stage, he has been found wanting for a long period now. He had a poor run in the Test series in England last year but managed to maintain his place after hitting a hundred in the final Test which was a dead rubber. His failure resumed in the home series against a not-so-strong Windies side and then continued to fail in Australia as well. He could manage a fifty in the entire tour and it was in the practice game. The Karnataka batsman though was still retained in the ODI squad when the ‘Koffee With Karan’ disaster struck and he and Hardik Pandya, who was also set for a comeback, found themselves under suspension. Rahul hit 89 against England Lions but is it too late? The suspension was lifted later but KL Rahul was asked to play matches against the visiting England Lions team. He played three limited-over matches against them but couldn’t hit a single half-century. Finally, he hit a fifty (89) since scoring 62 against Cricket Australia XI in Sydney in November. He would consider himself lucky for having got to play in five innings in the Test series in Australia in which he scored a paltry 57 runs. “Of course, he is definitely part of the conversation, but we expect him to get runs if he has to make a comeback,” MSK Prasad was quoted as saying by Latestly. The chief selector though kept his faith on the 26-year-old batsman saying he was a just a knock away from getting back to shape and cited his century in England last year to call him “a batsman of supreme class”.